How do I link my Wealthbox calendar to my iMac Apple calendar? 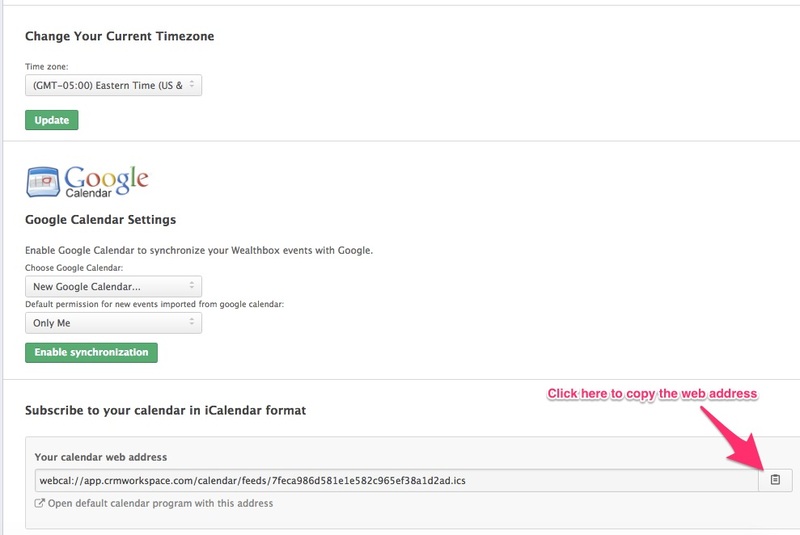 You can export the calendar that you have in Wealthbox to your iMac Apple Calendar in a read-only format. To do so, go into your Wealthbox account and see “Calendar Settings.” Here you will find a link which you may copy-and-paste into your iMac / Apple Calendar. Click here to find your calendar web address. 2. Paste the link you copied from Wealthbox.